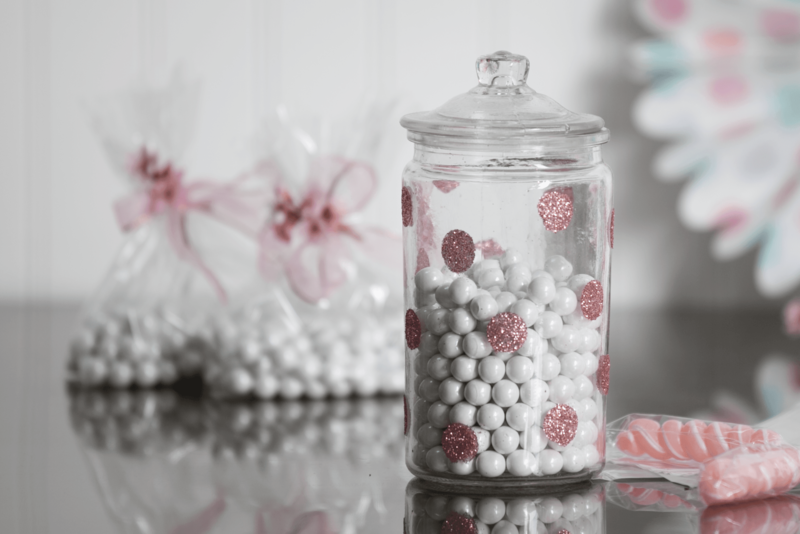 Everything is better with glitter and we decided to dress up a simple jar as a favor accent with glitter polka dots. 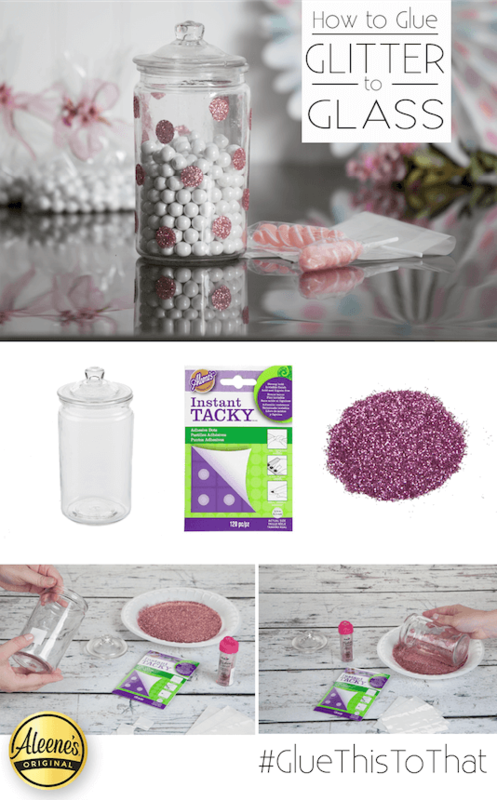 Making this jar is the simplest thing ever and involves a little trick using Aleene's Instant Tacky dots! 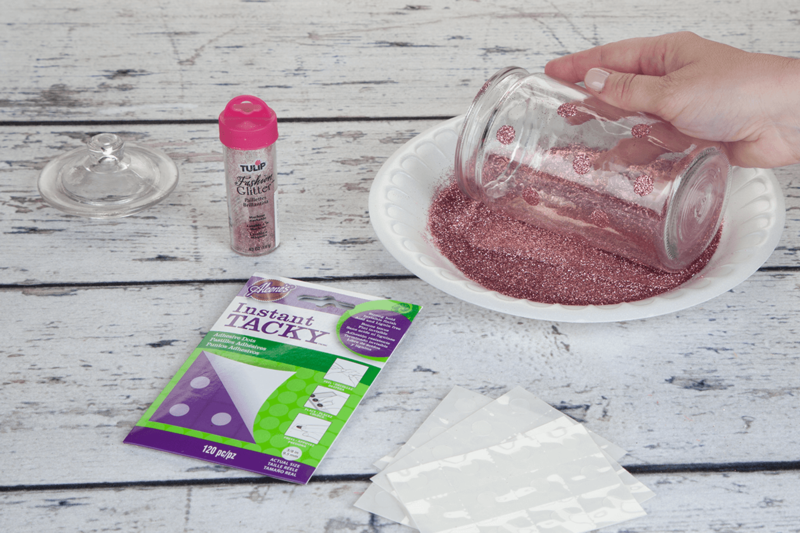 Pour your glitter on your plate, then open up your Aleene's Instant Tacky Sheets. Peel off a dot from the sheet, then press in place on your jar. Remove the backing and you have a sticky polka dot! Continue adding these all over your jar in a random pattern. Now the fun part! 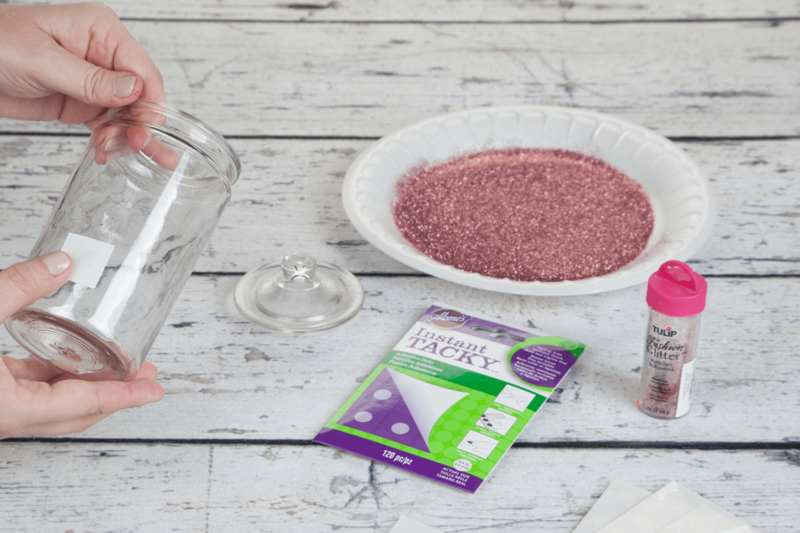 Roll your jar in your glitter until your dots have full glitter coverage. Shake off any excess glitter; if you need to use a dry paintbrush to brush away loose the loose flakes. Put your fave treats inside the jar! This is also a great solution for applying glitter polka dots to ornaments and vases for a fun look! Happy glittering...oh and here's a pin you can post to Pinterest too!